Almost two months ago, once the dates were set for my first trip to Honduras, I asked missionary friend Bobby Hoyle of LendAHand Mission Teams if he had pointers about how to prepare for for my journey. “Yes,” said Bobby, who has been there. “Wear a bulletproof vest!” He was only partially in jest. “So why are you going? 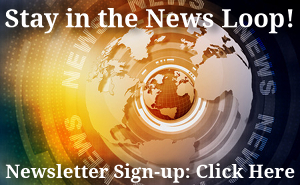 Are you crazy?” Well, yes, of course I’m “crazy” — I’m a follower of the Lord Jesus! I’m not brave or bold or macho; I’m going because the King is at work in Honduras, and He has called me to help His Church. I’m going in order to train pastors and leaders, men and women who are making a difference in the world, ministers who are part of the Kingdom advance that has raised the percentage of evangelicals in Honduras from around 10% of the population in 1975 to a projected 30% by 2025. I’m going to a country where half the population of over 8 million is under the age of 18. I’m going at the behest of Guatemalan superintendent Atilio Chávez (following up two visits to Honduras by his dedicated teaching team) and at the request of Honduran superintendent Javier Cruz. I’ll be flying into San Pedro Sula on July 27, and holding the first two-day seminar in the city of Yoro on July 29-30. I’ll celebrate my 49th spiritual “birthday” (the anniversary of the night I was born again in Newport Beach, California) on Monday the 31st, kicking off a week of visiting various churches. Our final two-day seminar will be in the capital city of Tegucigalpa, August 5-6; and then, Lord willing, I’ll fly home on Monday August 7. Map showing the state (“departamento”) of Yoro, Honduras. See the first map for the location of Tegucigalpa. United Nations 2014 report on crime (the source of the stats used above). 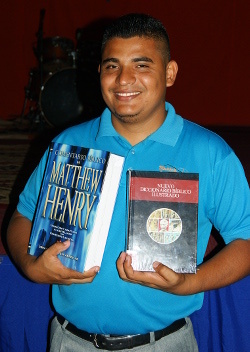 Update on pastors' Bible-study materials: In the last newsletter (The Sacred Treasure House Initiative) I didn't recount the full story of the May Nicaragua/Guatemala trip, mainly so I could focus on the need for basic Bible-study materials for pastors in Quilalí. As of today, gifts covering 10 sets of books have been received, and there are pledges for 6 more sets. Designated gifts have come from Canada, California, Texas (5 sets from one couple! ), Montana, and Virginia. Only 11 more sets to go — unless the list of pastors grows. You can still get in on the blessing of helping these pastors! Ocotál, Nicaragua: From Quilalí we went on to minister to a group of Baptist pastors/leaders in Ocotál. The LendAHand team was well received, and my teaching on hermeneutics generated a lot of interaction and interest. I can almost guarantee Ocotál will be a regular annual visit. Guatemala: Denise joined me in Guate, and our time there was, like the May newsletter predicted, another experience of “Estamos en casa” (“We're home”). The subject of the pastors' conference was holiness in the Epistle to the Hebrews. Lots of back and forth with the pastors! Denise's teaching ministry made such a favorable impression that one of the pastors declared to me one evening, “¡Su esposa es una buena maestra!” (“Your wife is a very good teacher!”) Denise also anchored the first-time-ever public debut of two new, young translators, Rut Chávez (daughter of Pastores Fermin and Lilian Chávez), and Estefani (“Stefi”) Pérez (daughter of Pastores Jorge and Emi Pérez). Watch for more on this visit next month. Protection. 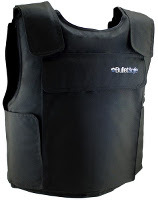 And not just of the “bulletproof vest” variety, although that is obviously critical. Pray for travel mercies (especially by car — you'd understand if you've ever been driven around Latin America). Here's an aspect of protection that might not be immediately obvious: safekeeping of an unfortified “gringo” intestinal system. In all of this “the Lord is my shield and strength,” but you are the ones helping to hold that shield for me. Spanish: Sometimes I'm amazed at how well a conversation has gone. Ten minutes later I can be paralyzed for loss of a verb tense or vocab word. Ask the God who created languages at Babel to help me with facility in Spanish, in conversation as well as in teaching. Open Heart: I want to feel the heart of Jesus for leaders in Honduras. My heart is to be joined to these pastors, to “hear” their hearts, and to minister to their needs. And whether in the planned teaching seminars, the preaching opportunities that will arise throughout my visit, or the one-on-one and small-group times, I want to be very sensitive to the leading of the Holy Spirit to speak the life of God, in His wisdom. 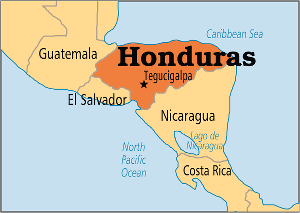 Credits: Map of Honduras: OperationWorld.org. Yoro map and Honduran flag: Wikipedia.org.